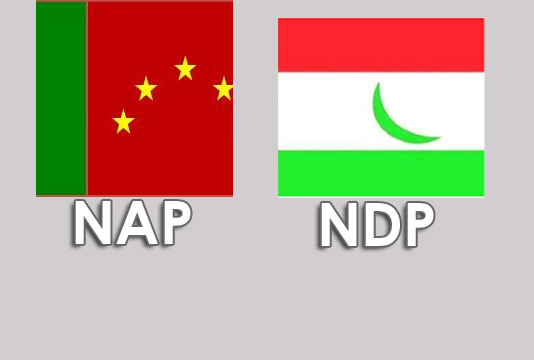 The opposition alliance on Tuesday witnessed a further rift as two partners of the BNP-led 20-party combine, National Democratic Party (NDP) and Bangladesh NAP, quit the grouping ahead of the upcoming general elections. The two parties announced their disassociation with the alliance at a joint press conference in the city against the backdrop of formation of a new opposition combine, Dr Kamal Hossain-led National Unity Front, joining hands with BNP, discarding a major prospective partner Bikalpadhara Bangladesh. “We think BNP has entirely deviated from its moral stance by joining with masterminds of 1/11 and ‘minus 2 formula’ in the name of National Unity Front . . . keeping the partners of the 20-party alliance in dark,” NAP chairman Jebel Rahman Ghani told the press conference at a community centre in Gulshan. The development came as National Unity Front emerged three days ago discarding former President Badruddoza Chowdhury’s Bikalpadhara which initiated the unity process.